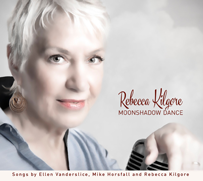 Released on January 29, 2016, this new CD features original jazz tunes produced through The Moonshadow Project . The sixteen tracks span an eclectic range, from wistfully romantic through lushly introspective to upbeat and playful, with the common factor found in the craftsmanship of the songs and the quality of the performances. With Randy Porter, piano; Tom Wakeling, bass; Todd Strait, drums; special guest vocalist Susannah Mars; and a stellar cast of some of Portland's finest jazz musicians. This one is special -- and you don't have to take our word for that, just check out what the critics are saying. Singer Marilyn Keller is so diverse and talented that her vocal stylings defy easy description. 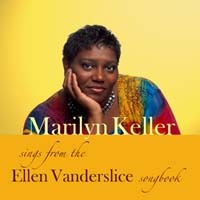 Here, Marilyn brings her sparkle and soul to six original tunes by Ellen Vanderslice, including the brand new "Rejoice and Be Glad." Marilyn’s warm, robust voice is well-supported by outstanding performances from a star-studded list of Portland jazz masters: Janice Scroggins, TALL JAZZ, Lee Wuthenow, Dan Donahue, Kevin Deitz, Ron Steen, David Evans, George Mitchell, Dan Balmer, Phil Baker, and Reinhardt Melz. Amandah Jantzen is a jazz singer with impeccable chops whose sultry tones draw you right into the heart of a song, making her accessible to a wide audience. Here she renders selections from the Ellen Vanderslice Songbook – sensuous slow ballads, Latin beats, and the simple message of "A Christmas Lullabye." Also includes a previously-unreleased recording of "Airport Romance." 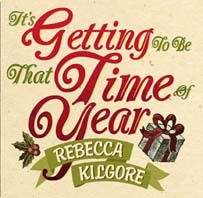 Rebecca Kilgore is one of America’s greatest living jazz singers, and she tells a story in song like no other vocalist. 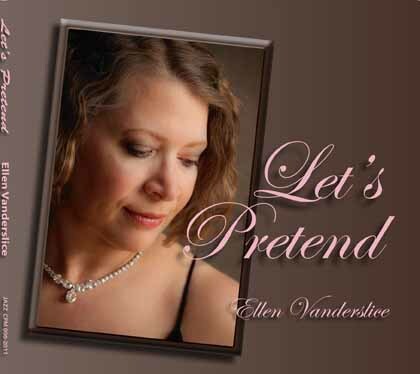 On this digital EP release (9/29/2012) she delivers masterful renderings of six songs by award-winning composer and lyricist Ellen Vanderslice, including a previously-unreleased recording of "Twilight of Blue." 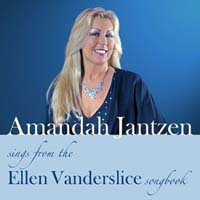 One of two CDs released 12/3/2011, this one features Ellen herself singing 11 numbers from the Ellen Vanderslice songbook, plus one Gershwin tune! Ellen is accompanied by some of Portland's finest jazz musicians. Phil Baker, bass, also produced the album. The piano chair is split between Tony Pacini and Greg Goebel. Mike Horsfall, who co-wrote many of the tunes, plays vibes. With Neil Masson on drums and Lee Wuthenow on tenor sax, these numbers sound great. 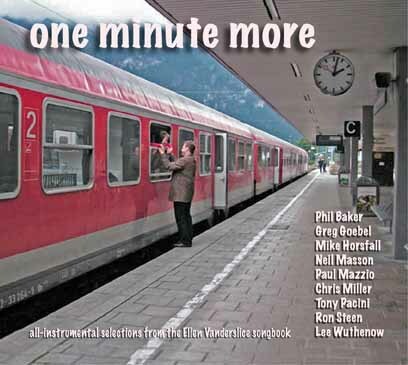 The second CD released 12/3/2011 features Phil Baker, Greg Goebel, Mike Horsfall, Neil Masson, Paul Mazzio, Chris Miller, Tony Pacini, Ron Steen and Lee Wuthenow on 11 all-instrumental selections from the Ellen Vanderslice songbook. 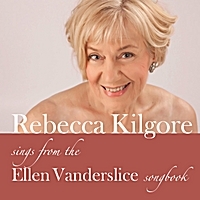 This 2001 compilation disc is all Ellen Vanderslice tunes, with vocals by Rebecca Kilgore, Marilyn Keller, Amandah Jantzen and Ellen herself. 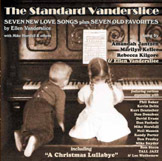 Included on this disc is Amandah Jantzen's stunning rendition of "A Christmas Lullabye." The reprint CD is now available for special order. Released in1999, this disc features Ellen singing some of her own compositions and some great old jazz standards, accompanied by Tall Jazz with heritage fiddler Bus Boyk, trombonist Ben Medler, and the inimitable Lee Wuthenow on tenor sax. Ellen's first CD was released in December,1997, at a standing-room-only party with Tall Jazz at Jimmy Maks! It features Ellen singing a mix of standards and originals.